PICCOLA CAPRI mini bag. Capri is waiting for you! 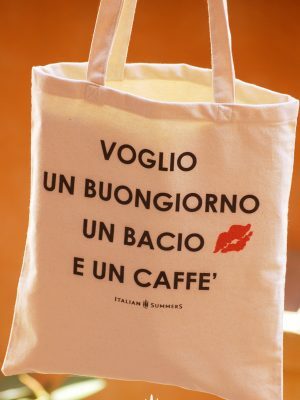 Make La Bella Figura with this cute little bag which is perfect to travel with. You can fold it flat, so it takes no space in your suitcase and it holds all your necessary things and then some. It is the perfect size to take with you for dinner or the passeggiata. Always elegant! Attention! This is a handpainted jute product! Sponge-wash gently with a drop of mild soap, do not bleach, do not scrub the painted areas, air dry. *Note: Each PICCOLA CAPRI mini bag is a unique handpainted item, no two bags are the same. There will be natural small differences as the Artist replicates the theme. Since we create our bags ourselves, we can come up with something special for you like your initials. Are you going on a holiday to Capri? Are you getting married in Capri? We have the cutest little bag for you! 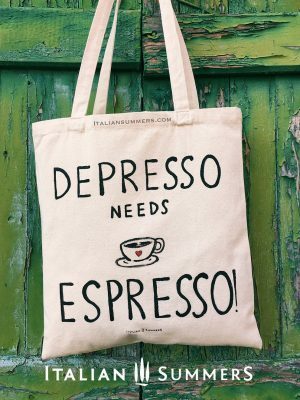 This mini bag is handpainted in Italy. You can have your bag customized with a MONOGRAM or NAME. Just let us now and we go through the options with you. For weddings in Italy have a look here…….. ( link coming soon)! 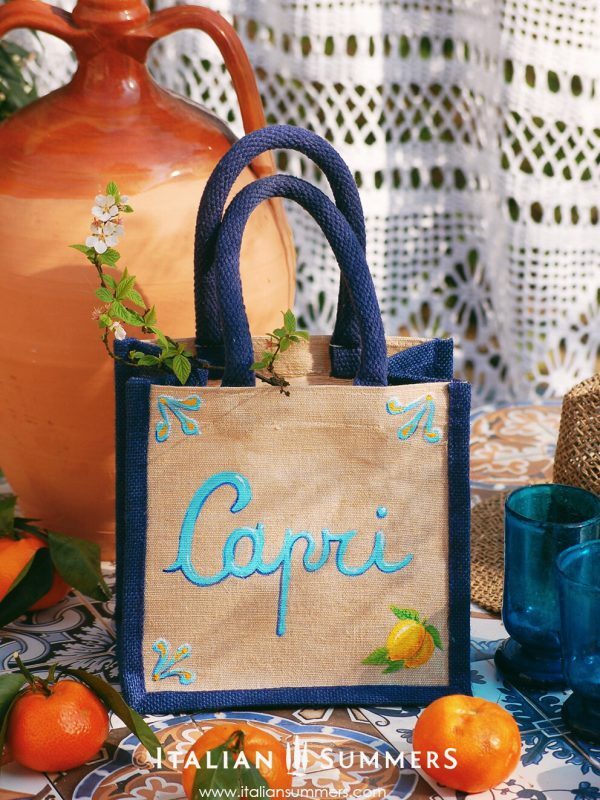 We hand paint and decorate our totes, beach bags and straw bags with our own original Italy-inspired designs!